Happy Labor Day weekend to all in the USA! I had to work Friday and Sat., but I am off now until Thursday : ) I wanted to share a card I made for the latest Technique Junkie newsletter using a technique called Copic Smooshed Alcohol. I wanted to make a floral card in purple and yellow, and added a tad bit of of a Rose color- which decided it needed to take center stage. 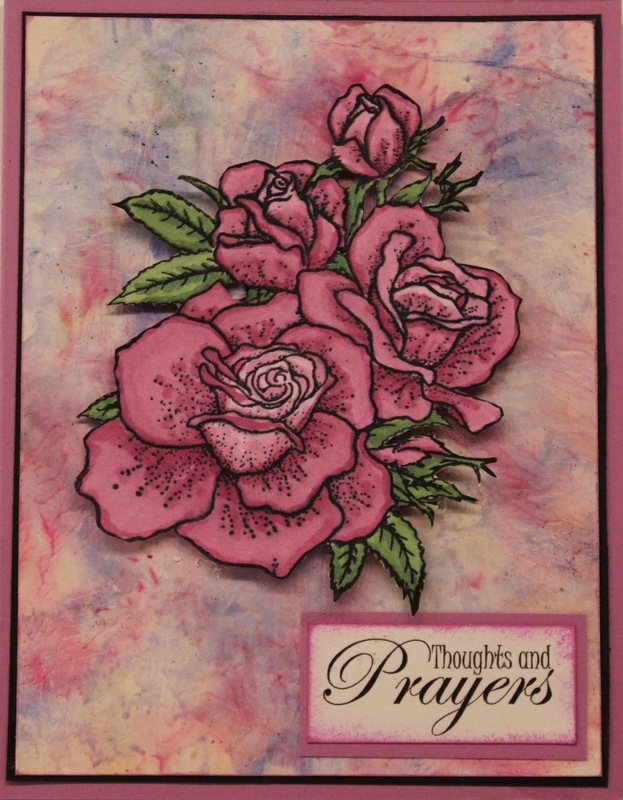 Well, I LOVE pink, so had to grab a new image I have from I Brake for Stamps and colored that with the pinks that coordinated with the background. The sentiment is from Create with TLC. 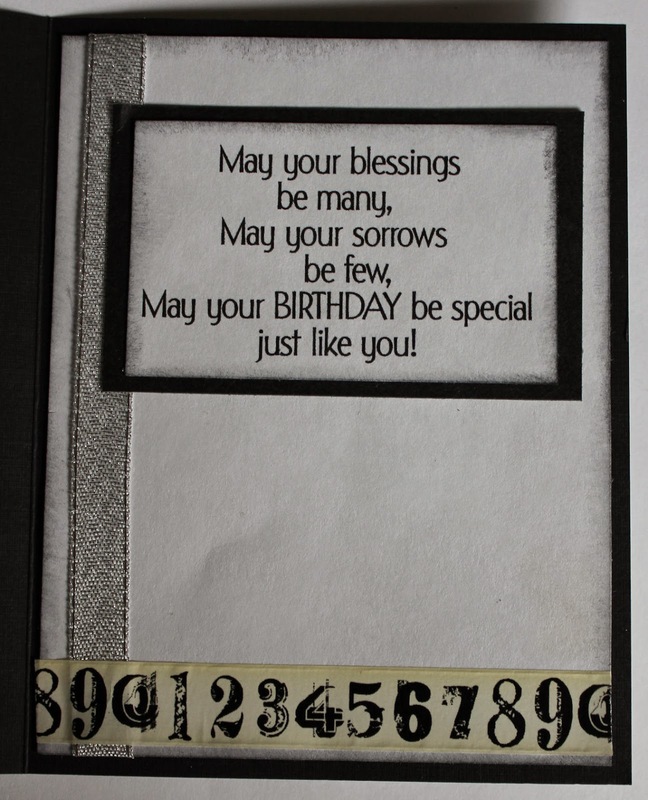 The challenge at Sweet Stamps for this week is Masculine Birthday. We are very spoiled on this DT- we get to play with lots of fun papercrafting supplies! 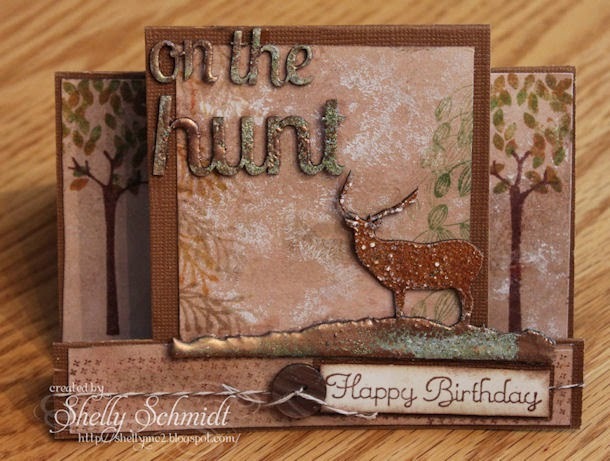 The latest are Globecraft and Piccalo Accents and Embossing Powders : ) I chose to use the On the Hunt set- and used just a few of the pieces- full set HERE. 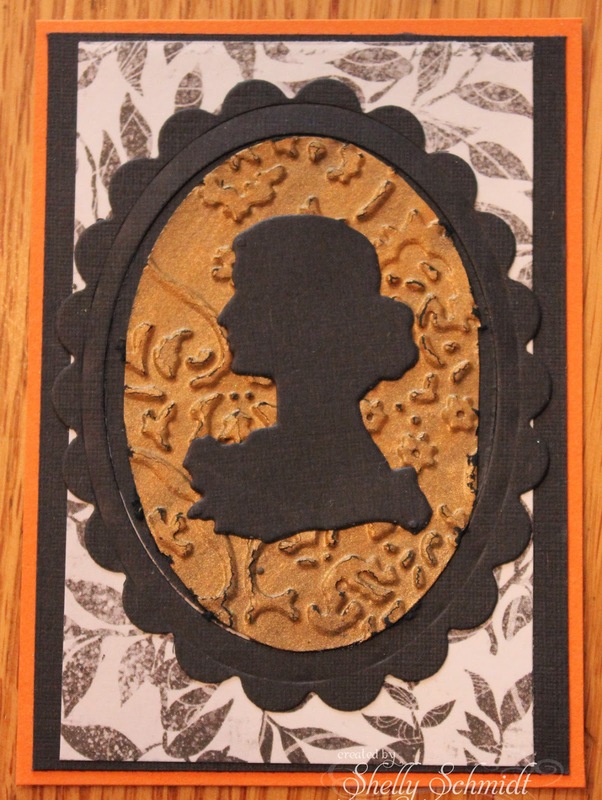 I used two of the Enamel embossing powders- Brownstone and Vintage Copper (which has a cool green accent in it as well). 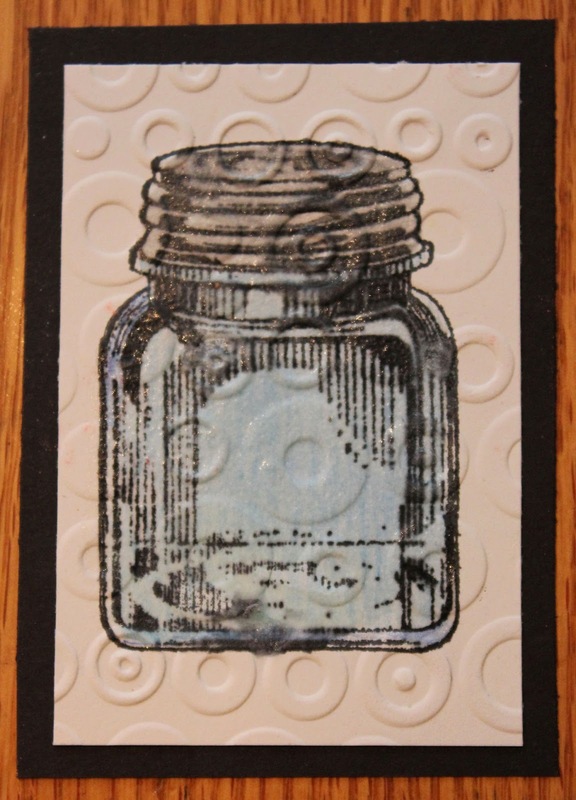 I used a die to cut the Center Step card, and I used a background made with a Technique Junkies technique- can you believe it uses Epsom salts? 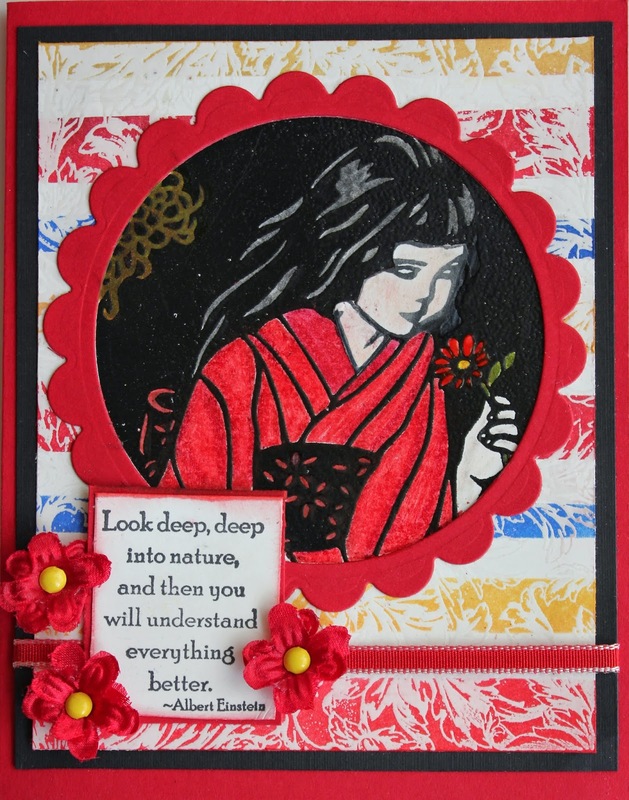 Card Mania has invited me to stay for more challenges : ) I am thrilled, as I am working on the Kit and Clowder coloring class, and look at this beautiful image I got to 'practice on' this week from The Paper Shelter. The theme this week is Butterflies and Bows. The DP is digi and also from Paper Shelter, the sponsor for the challenge and a perfect fit! I had fun coloring her- and her fab hair, and will be printing out more of this image for my coloring trials....... It will be fun to have a before and after as I learn more about coloring using the same image. The sentiment is from Create with TLC. I sponged around the die with SU Blue Bliss. I also did a Zig-Zag stitch around the edge of the card, and I sewed the lace and ribbon together with a Zig Zag stitch right onto the card stock. The Flowers and the rhinestones are Prima. The Beaded Pin is by Pinque Peacock. A Little Bit Crafty- Sew What? 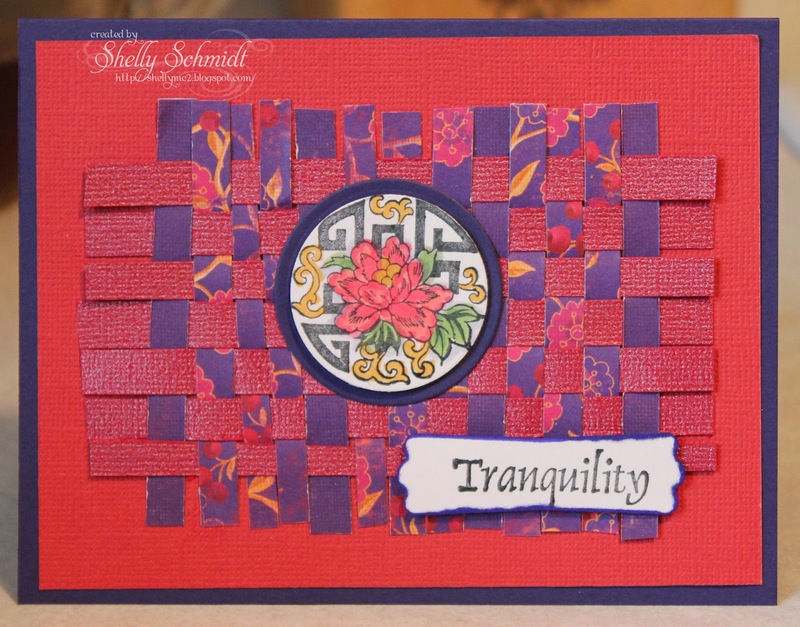 I was able to make one more Asian themed card today- it is a simple layout using paper strips woven together. The Oriental Stamp Art Yahoo Group has a weekly challenge HERE is the link to the blog. I used Copics for coloring- B79 to edge around the sentiment, '0' , R32, R35 for the flower, YR23, G43 and G46. This is done using a Technique Junkies technique called Resist Strips. 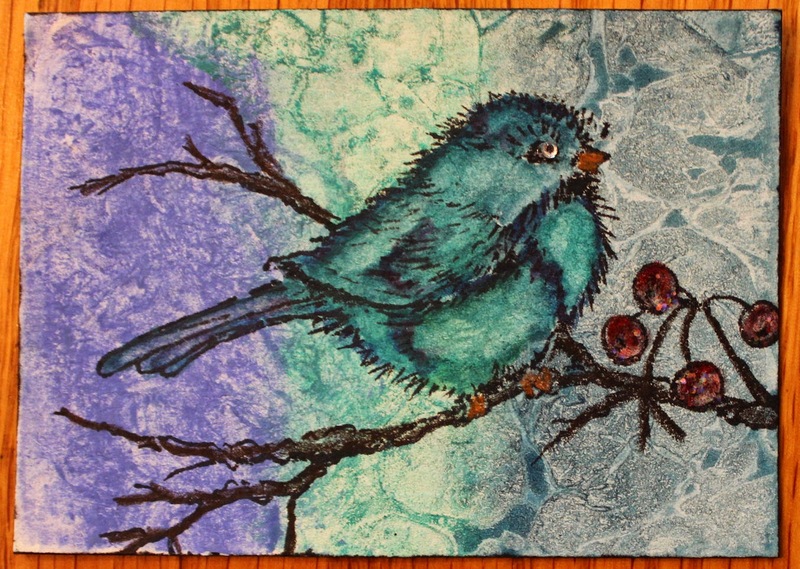 I used images from Technique Junkies Stamps. I used colors you see in China that are very predominate. Do you have any flowers like this in your stash? I have not used these for ages! YR24, Y21, Y26, E25 and Y11 for her hair. Skin: E000, E00, E02, E11, Ro2. For her dress and lips: R32, R35, R37, R02. Eyes G14. 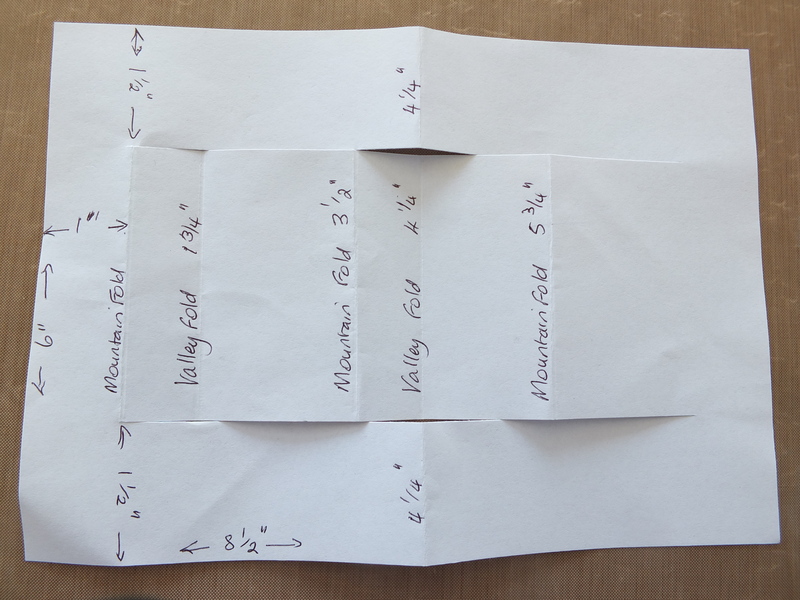 For her purse and shorts- which you cannot see.....C2, C5, C7. I also had fun making the three flower embellishments using the Globcraft and Piccalo elements and Turquoise Lagoon Enamel Embossing Powder. DId you notice the paper piecing on the onesie??? I used the same MME polka dot DP as I used behind the image. 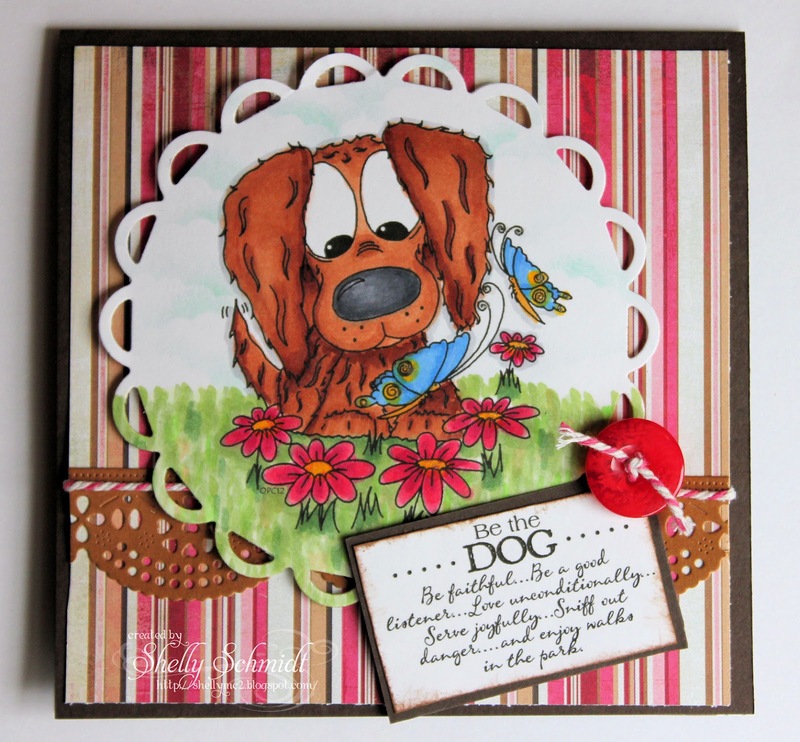 This week at Tuesday Throwdown we are creating with the theme, 'Our Furry Friends'. Our Sponsor this week is Oak Pond Creations. I just love this darling dog and had to create with it! I used Copic Markers to color the image. I used Pool Party by SU and the scalloped oval punch to sponge in the clouds. The Sentiment is by Create with TLC. 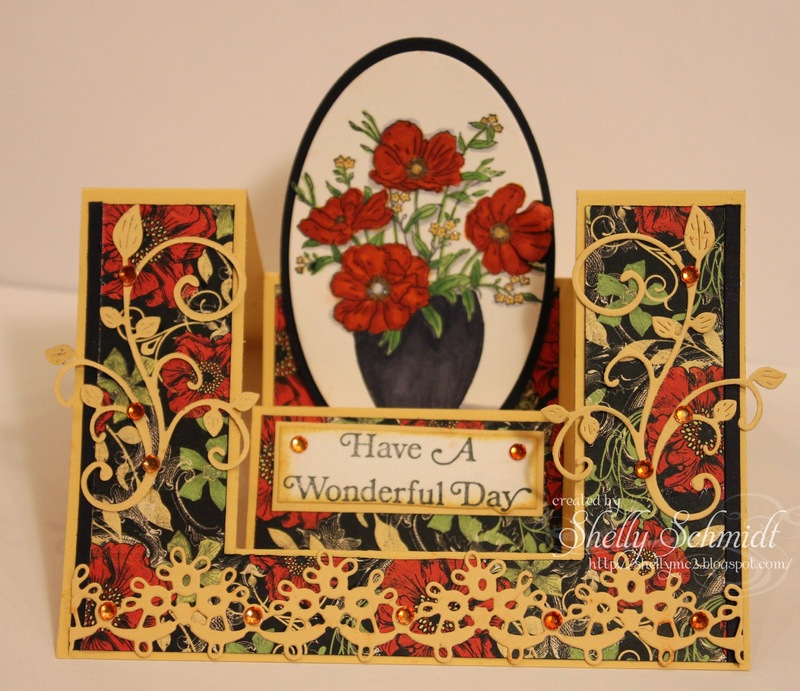 The main die is Lacey Circles by Spellbinders. 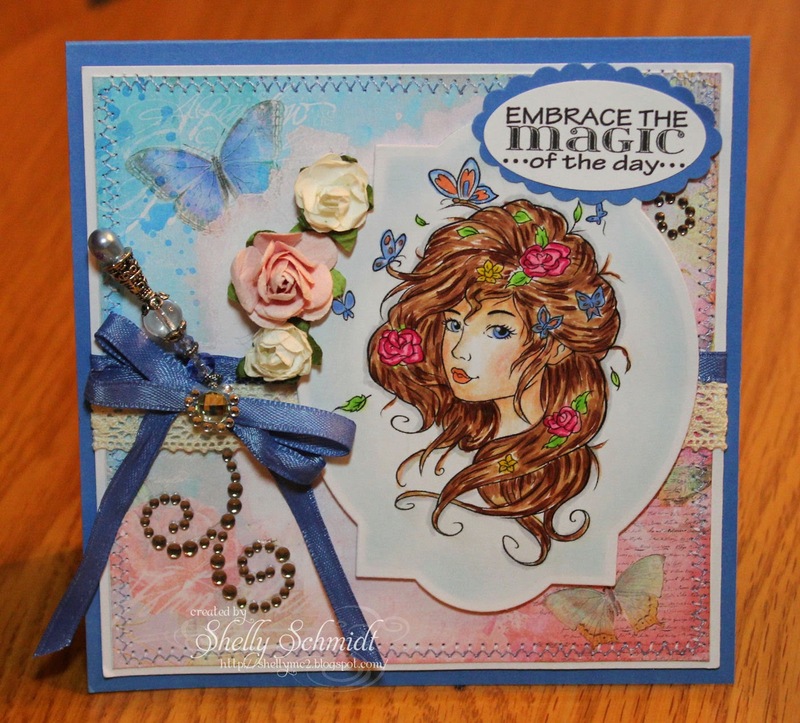 The border die is by Carnivale by Cheery Lynn Designs. 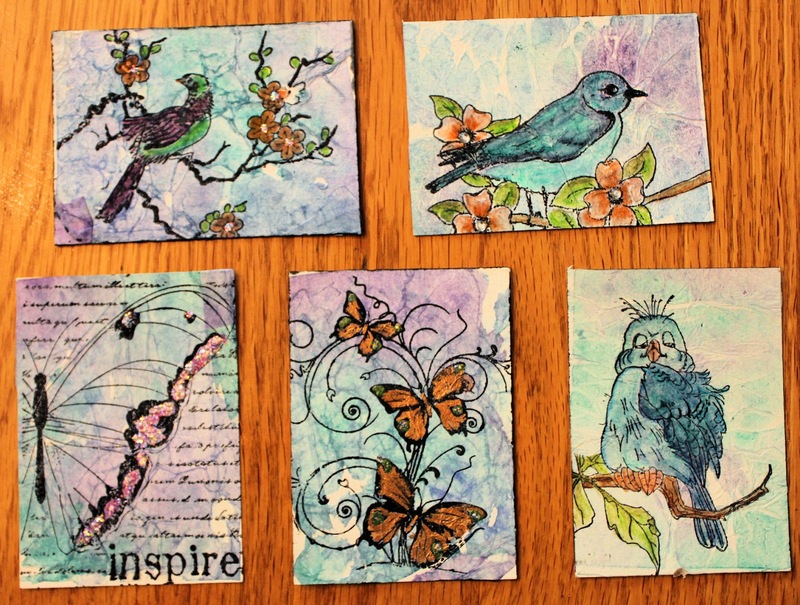 Please stop by the Tuesday Throwdown to see my Teamies fabulous cards! 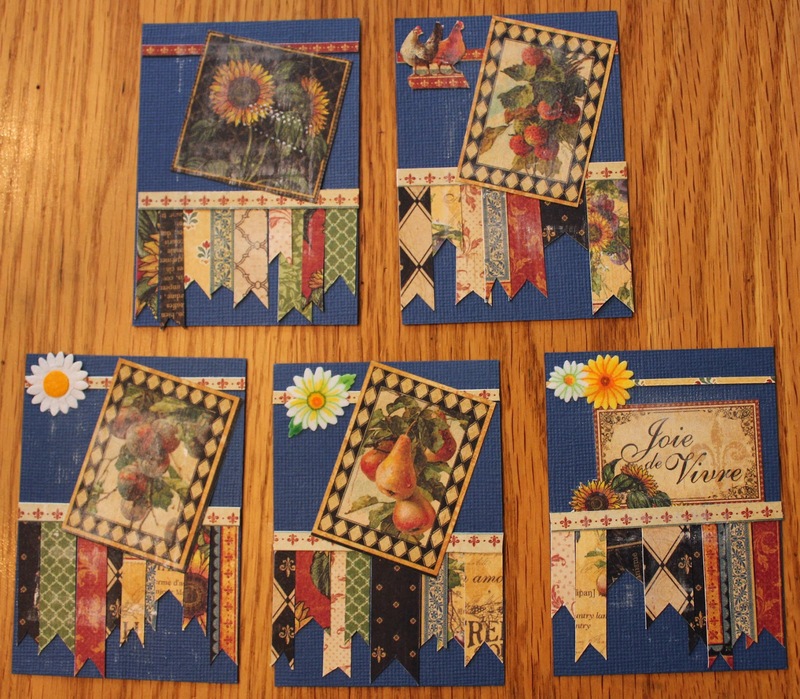 The challenge at Sweet Stamps for this week is In the Garden. I direct to image inked the stamp, stamped it, then fussy cut it out I added some scoring to the BG for interest, then cut the border and added the bling. Card Mania Challenge blog started on August 15th, 2012 so there is a celebration for their 2nd birthday! Look at all of the fab sponsors: Marianne Design, ColorInk, Meljen's Designs, A Day for Daisies, Sassy Studio Designs, Kenny K, Digital Delight, StampArt by Kathryne. 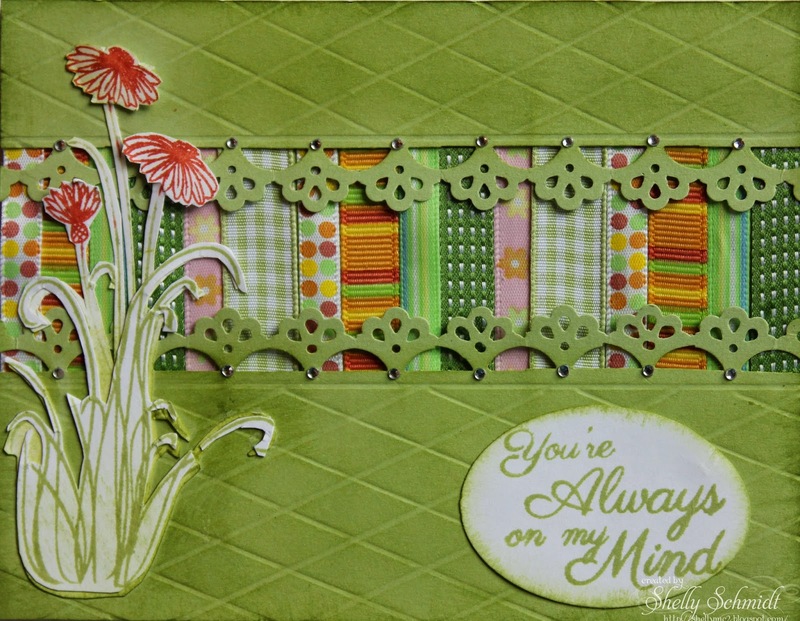 I used the sweetest image called Gracie from Stamp Art by Kathryne. The sentiment comes with the image. I have a neighbor having a BIG Birthday this week. Her son is having a surprise party for her- really- how cool for a 26 yr old kid to throw a party for Mom- there are even flowers on the tables- dinner catered in, finger foods......WOW! 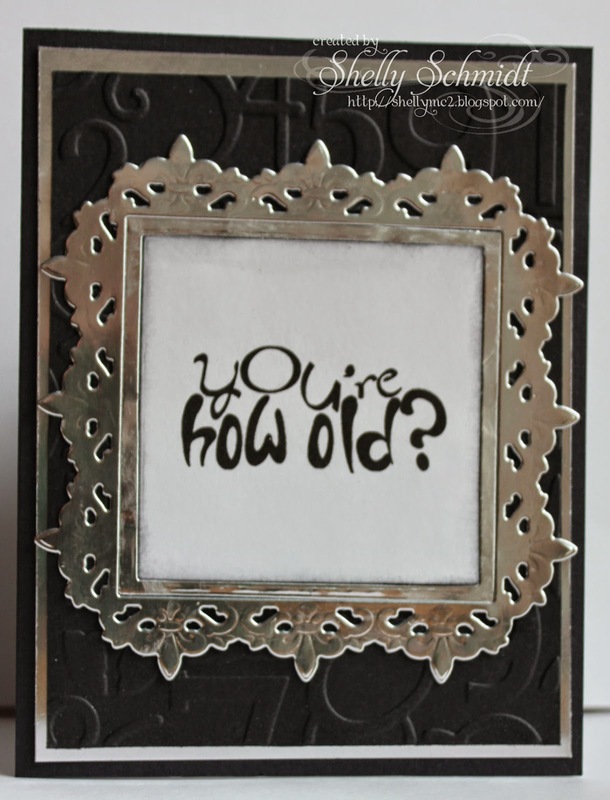 I could not resist this funny digi sentiment by Create with TLC......the shimmery black embossed with the number EF is from Paper Temptress. The Silver is cut out using a JoyCrafts 6002 frame. 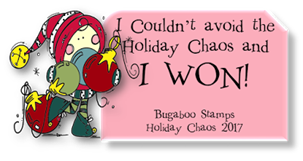 This sentiment is also by Create with TLC, I added ribbon and Washi Tape. For our August post, our hostess is April. 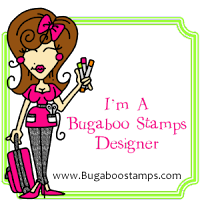 The Carriers of Faith is a blogging group on Splitcoaststampers.com. We chat, inspire and support each other. We have a monthly post with a specific theme for the month. Scripture: 1 Corinthians 13: 4-7 Love is patient; love is kind; love is not envious or boastful or arrogant or rude. It does not insist on its own way; it is not irritable or resentful; it does not rejoice in wrongdoing, but rejoices in the truth. It bears all things, believes all things, hopes all things, endures all things. Your card doesn't need to be based on a spousal love, and as such, I would love to hear a story of one of your loves! I have to say I am truly Blessed with my husband. When we first met, we did not like each other...at all.....! We had many mutual friends and bumped into each other often. We grew on each other over time. We had many similar life philosophies, and also were both the same religion- which I am very Thankful for. He is not into Drama at all- and lets stuff roll off his back. We rarely fight at all. (We have a '51-49 policy'....whoever has really strong feelings about something is '51' usually). We give it up to God and try to communicate our feelings in a loving way, most of the time, and make concessions with each other. I don't know about you, but I pick the paper 1st, then match the markers to the paper. 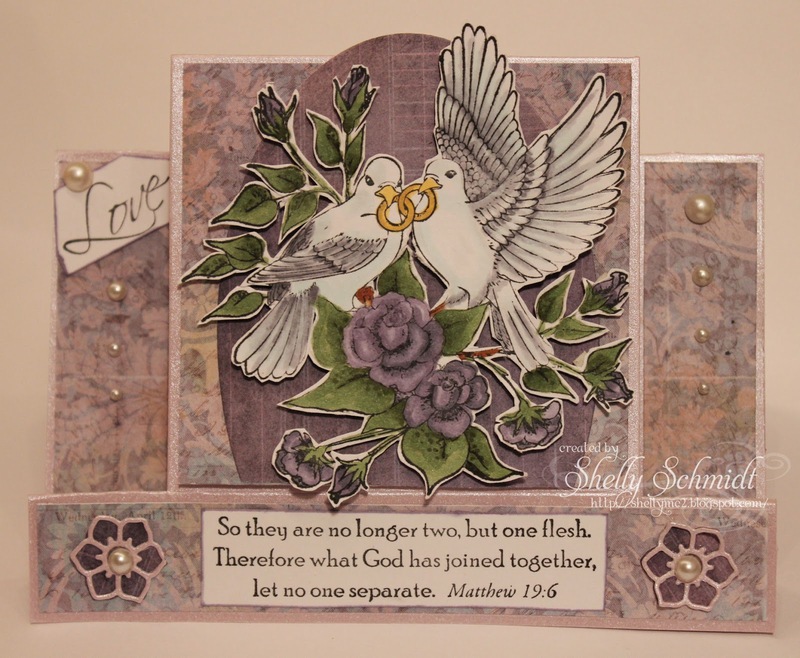 The DP is Prima 6x6, the flowers and pearls are also from Sweet Stamps. I fussy cut the image and popped it up on dimensionals. 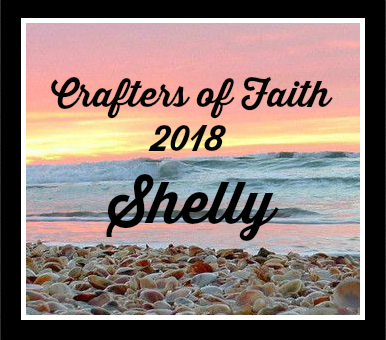 *** The Carriers of Faith list is on my sidebar- please hop around and see more beautiful projects and thoughts on April's scripture choice. Oh- and Happy Anniversary April!!! Cut it Up- Inspired by a Song- Here Comes the Bride! The third TJ ATC swap is in and swapped out. The swaps get better and better each time! The only requirement is to use any Technique Junkies technique from a newsletter or a CD. (Stamp credits posted when available). 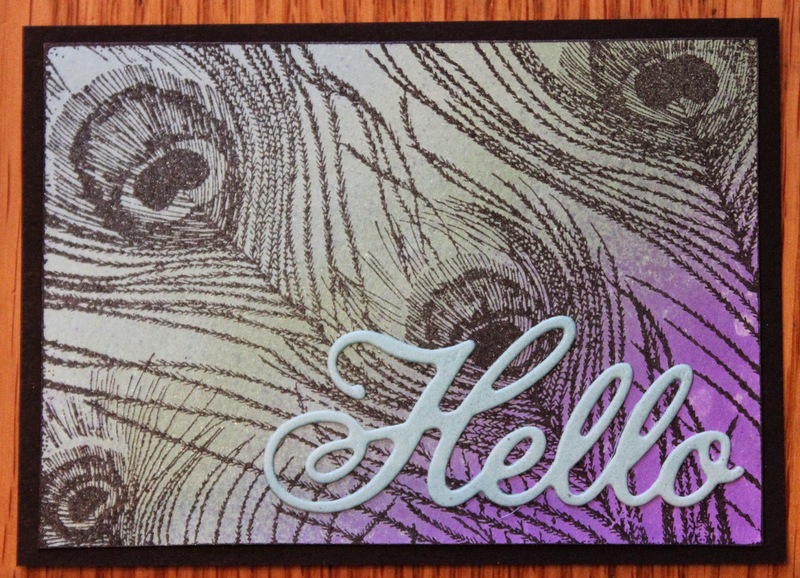 My ATC-I used dry embossed Pearls from the Feb/March 204 Newsletter. 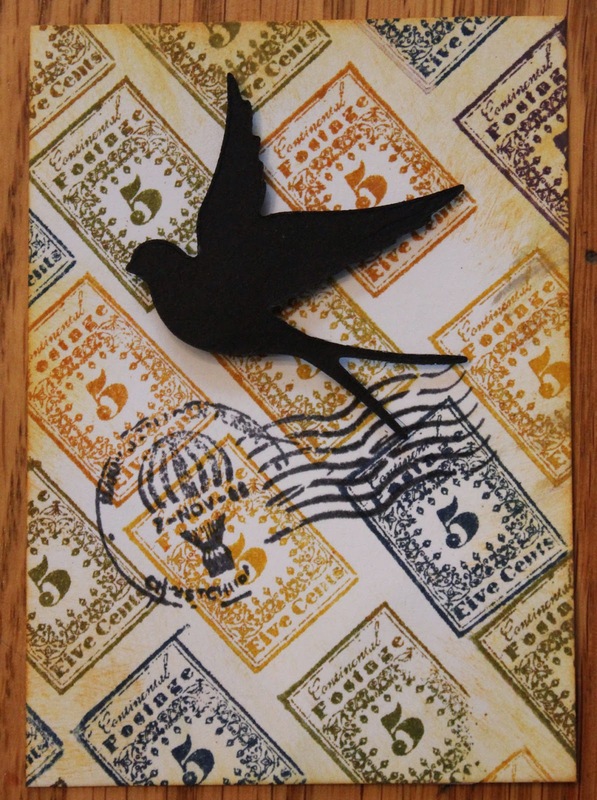 The silhouette die is from Sweet Stamps. We have a swap every 2 months- we'd love to have you join us!